Every iconic venue deserves an encore. 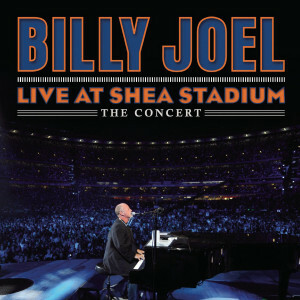 At Shea Stadium, it was only fitting that Billy Joel was the legend who brought the curtain down. A concert celebrating the end of an era: The Beatles opened it and Billy Joel closed it. Built in 1964, Shea Stadium was the home of the New York Mets for 45 years. Designed as a multi-purpose stadium, Shea first met rock 'n' roll when The Beatles appeared there August 15, 1965, establishing Shea as the premier stadium for the world's greatest bands. The Who, The Police, The Rolling Stones, Bruce Springsteen and The Clash all played Shea. The Last Play At Shea, staged on July 16 and July 18, 2008 before a combined 110,000 fans, comprised the final performances ever at the historic stadium. Live At Shea Stadium contains two and a half hours of hits and album favorites, featuring special guests Paul McCartney, Tony Bennett, Garth Brooks, John Mayer, John Mellencamp, Steven Tyler and Roger Daltrey. Live At Shea Stadium captures the music and memories of a generation. After 45 years, the Mets' two World Series victories, The Beatles and The Last Play At Shea, the final section of Shea Stadium was torn down in 2009. This was originally released March 8 , 2011.